Meet the Friendly Faculty! Our instructors are active in Chicago and nationwide as professional musicians, and they are happy to help you find your own musical voice. 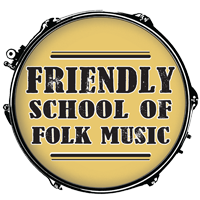 Rob is the Friendly School of Folk Music’s chief drums and percussion instructor, as well as the owner and director of the school. 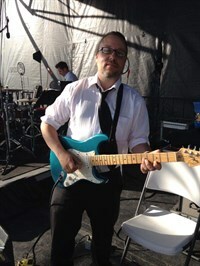 He also teaches guitar, piano, voice, composition, recording and producing, and music theory. Rob sat down in front of a drum kit at nine years old and still only gets up to play other musical instruments. After his parents helped him to teach himself the basics of music on the drums and piano, he taught himself guitar and then studied music at Indiana University. He continues to chase moments of musical discovery on whatever instruments he can get his hands on as a performer, teacher, and lifelong student. His current favorite musical project, Yellowhammers, is an original band and creative songwriting outlet. Rob incorporates music theory into every lesson, sharing his understanding of how everything works together and helping his students initiate their own moments of discovery. His mission is to help every student find an original musical voice, and he teaches students aged 10 and older at all levels, beginner to professional. 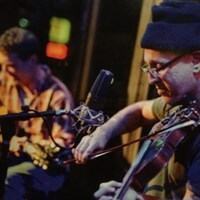 He loves Americana instruments and music, rock, pop, and folk. Most of all, Rob loves to jam and looks forward to any opportunity to sit down and make some music happen. Cheryl enjoys working with students of all ages and especially loves helping youth to begin their lifelong journey in music. 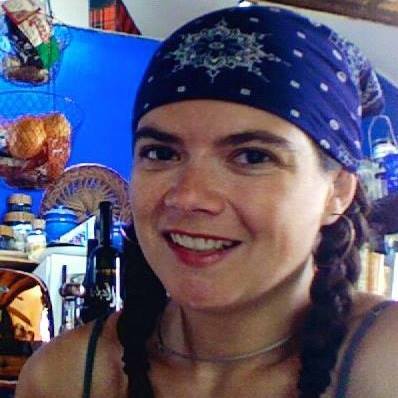 She uses all styles of music, from classical to grunge to the blues, to guide students toward their own musical personalities. Her students use technical and theory skills in their own improvisation and original compositions. She is experienced and interested in working with children who have developmental delays. Cliff Killion is a longtime Oak Parker with music roots that go back to playing string bass for the Irving School band and OPRF symphony orchestra. 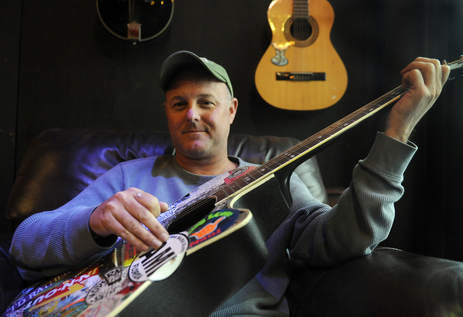 He’s been a guitarist or bassist in countless garage, basement, and working bands ever since. Cliff has recorded many original songs with various groups in studios and orchestras, and currently, he plays with the Packastanleys, Dukes & Pearls, and Blue Lincolns. With a gifted ability to play whatever he hears, he shares his talents through teaching guitar and bass at FSOFM. Jon teaches all ages and all levels. He particularly enjoys encouraging students in the context of private lessons and sharing his knowledge of fiddle tunes and Americana. 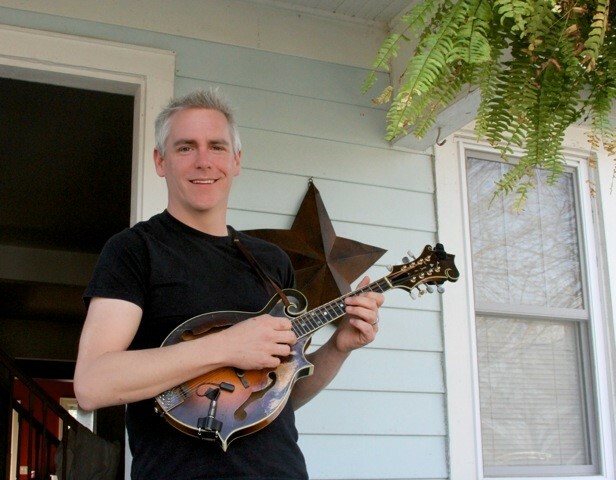 Jeff teaches all ages, adults and motivated youth, and in addition to bluegrass, he teaches Americana, folk, country, rock, blues, and all flatpicking guitar styles. He emphasizes the fun as well as the discipline of music, and as an experienced recording artist, he is interested in finding groups of people to guide through the composing, performing, and recording process. He loves jamming, and he works with students to improve their skills while preparing to play in ensembles or jam sessions. Hannah enjoys working with young children, aged three to six, and uses all different styles of music to expose her students to everything there is. 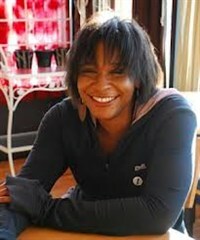 Her mission is to uncover and nurture enthusiasm for music in children and to pass on the joy that it gives her. 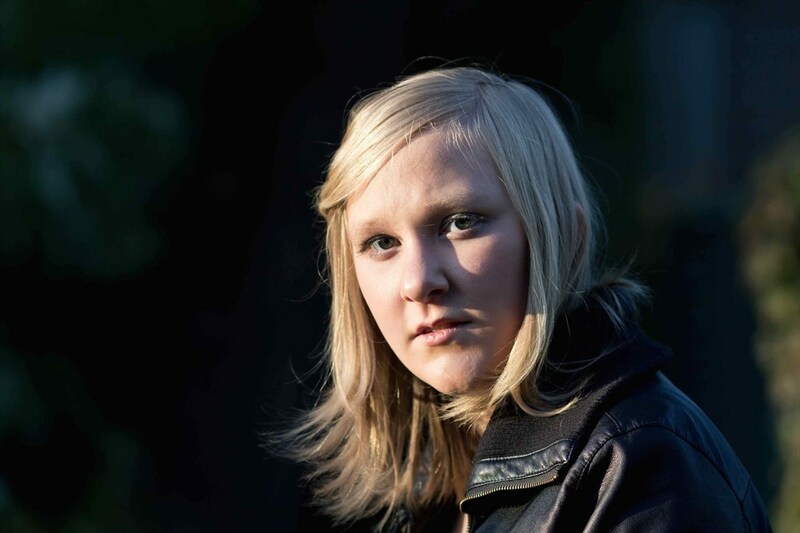 She is looking forward to sharing what she has learned about songwriting with the community by teaching the Friendly School of Folk Music’s songwriting class. Lexie teaches piano and voice at the Friendly School of Folk Music, and she can even teach you both at the same time! Lexie learned percussion and piano as a child before studying music at Millikin University and then DePaul University, getting her degree and additional chops in voice, songwriting/arranging, and jazz studies. She studied voice with Ed Farran, vocal coach to several Grammy Award winners, and she is an expert ear-trainer, having developed her own ear throughout the years vocally and on the piano. She is also a veteran piano and voice instructor at the Old Town School of Folk Music in Chicago. Along with her eponymous original music project, Lexie performs with ULeLe, CITRUS, and the HardArt Groop. Lexie teaches ages six and up and uses all styles of music from classical to R&B to jazz, standard notation, lead sheets, and ear training. She loves to help students uncover the music and knowledge they have within themselves at all levels, especially beginners, and her particular specialty is teaching people how to rely on themselves by singing and accompanying themselves on the piano. She believes that every song has a lesson in it and will tailor her curriculum to her students’ needs and interests. Leah is the founding instructor of the Friendly School of Folk Music’s Friendly Babies program, and she teaches the flute as well. Her first and main instrument is the flute, but she also plays all wind instruments. Leah studied flute and music education and is an early childhood teacher, having developed our parent-tot classes for families to sing, dance, and play together. Leah teaches classical music, and she also uses a wide range of sounds and genres to help children develop their own musical interests. She loves to help children sing, dance, and play instruments, creating a multifaceted environment for little humans to grow all their senses and their love of music. Michael teaches young adults and up, beginning to advanced, by illustrating fundamental techniques and concepts in the context of popular songs. His mission is to help his students realize their goals through the discipline of practice. 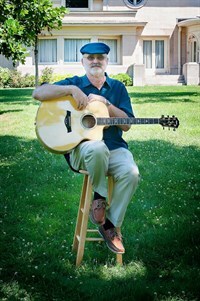 He teaches private lessons as well as the Friendly School of Folk Music fingerstyle guitar class. Zoey is an absolute master of all styles of acoustic and electric guitar. He has been learning by ear since childhood and has studied guitar with Fareed Haque at Northern Illinois University. He has played with CJ Chenier, and he now plays with the Bad Sneakers Orchestra and the Cathy Richardson band. He can be found every Wednesday at Rosa’s Lounge with Nicholas Barron. Zoey teaches private lessons to children aged eight and up and can show his students any song or genre, helping his students to follow their own musical paths. He teaches notation to those who are interested and is a great ear trainer. Zoey is also the newest teacher in the Friendly School of Folk Music’s growing youth guitar program. Brian is the Friendly School of Folk Music’s ukulele guru, but his extensive musical background includes piano, double bass, uke, harmonica, accordion, percussion, guitar, clawhammer banjo, and mandolin. He is also a composer and singer, having written several musicals and served as music director for Chicago theatre companies. His current project is the roots-Americana project Tank and the Beez. You can hear his music here. 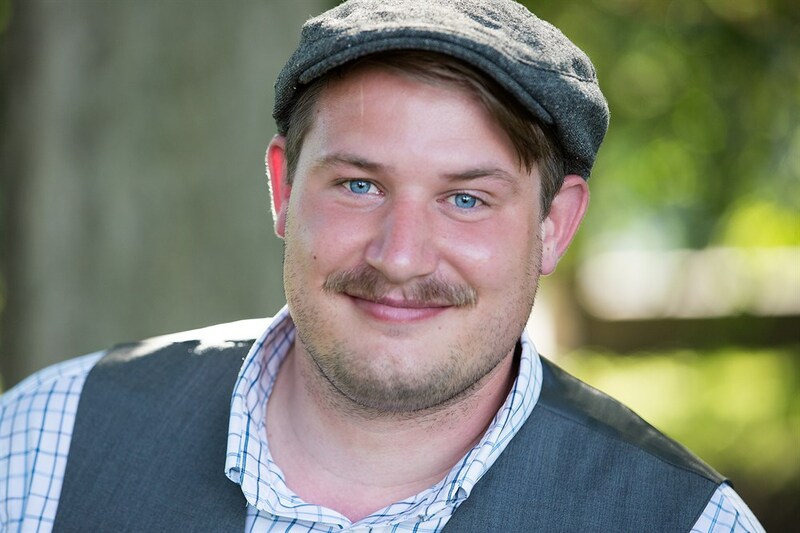 Brian enjoys working with youth and is also an English teacher! He is available for private lessons and the Friendly School’s upcoming adult group uke class. He draws from his broad musical background to select teaching material to fit the interests of his students. 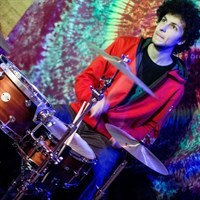 Jonah is the drum jam leader for the Friendly School of Folk Music and a teacher of drum kit and hand percussion. 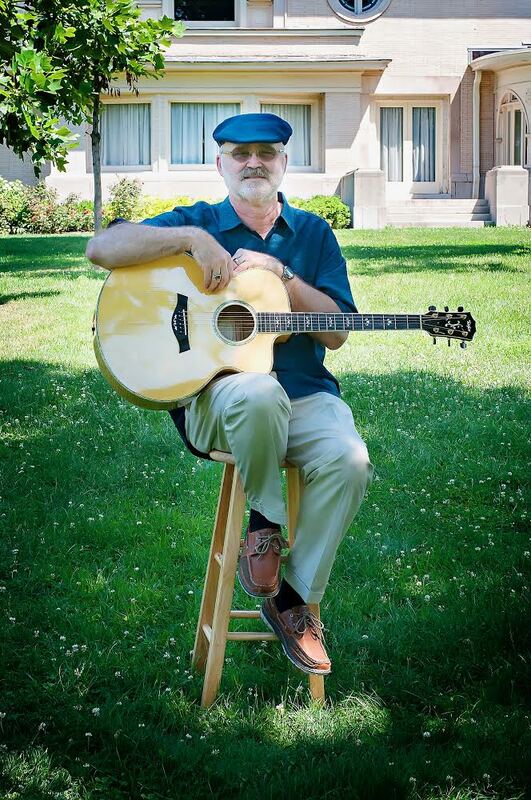 His first instruments were guitar and piano, but he is a lifelong learner of percussion, having studied drums from Chris Edwards and Jason Patera, and then at Macalester College. 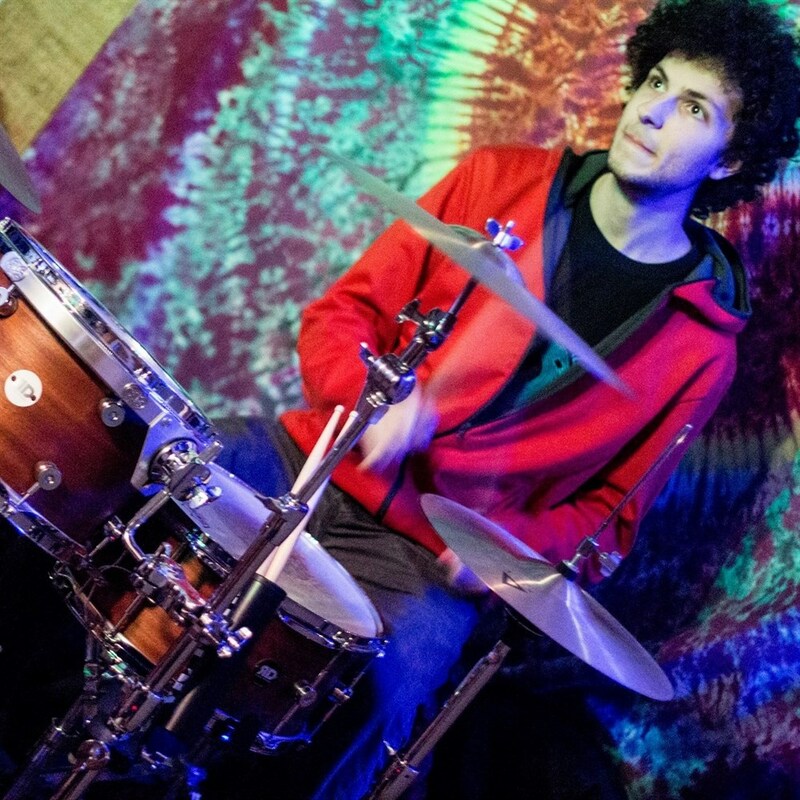 He loves all percussion, especially Afro-Brazilian rhythms and instruments, and recently returned from a second year studying in Brazil. His main musical project right now is Jazz Robots, and you can check out their music here. Jonah teaches all ages and levels and uses all styles of music, including rock, jazz, metal, Afro-Caribbean, pop, and funk, to spark creative expression and rhythm skills in his students. His teaching style emphasizes listening and responding musically, and he is interested in forming ensemble classes to encourage students to develop original material together. Dave is the Friendly School’s dedicated banjoist! He hails from the western suburbs and started out playing the drums, then the alto and tenor saxophone, and the bass, and the djembe, and then finally, having exhausted all the alternatives, picked up the banjo, and although he still plays bass, the banjo is his main instrument. 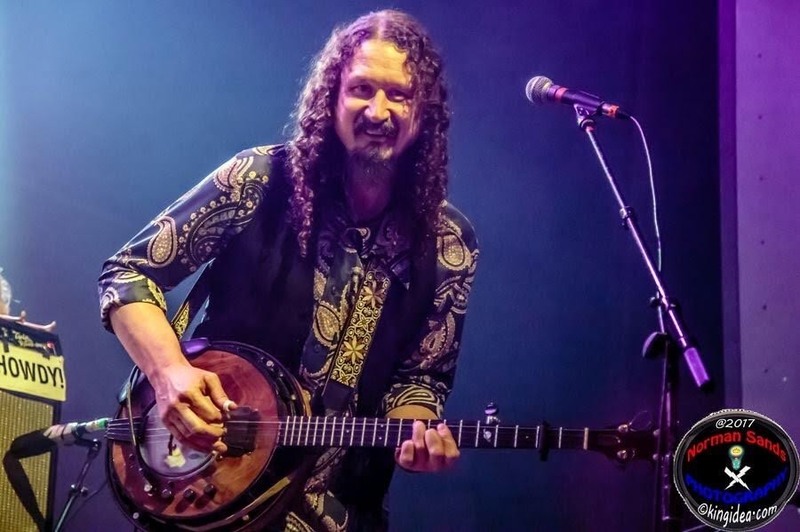 He has a deep history with the Chicago music scene, currently playing with Cornmeal, a progressive bluegrass outfit, and with the acoustic group WACO. Check out his music here. Dave teaches mainly bluegrass banjo but welcomes all beginners to the instrument. 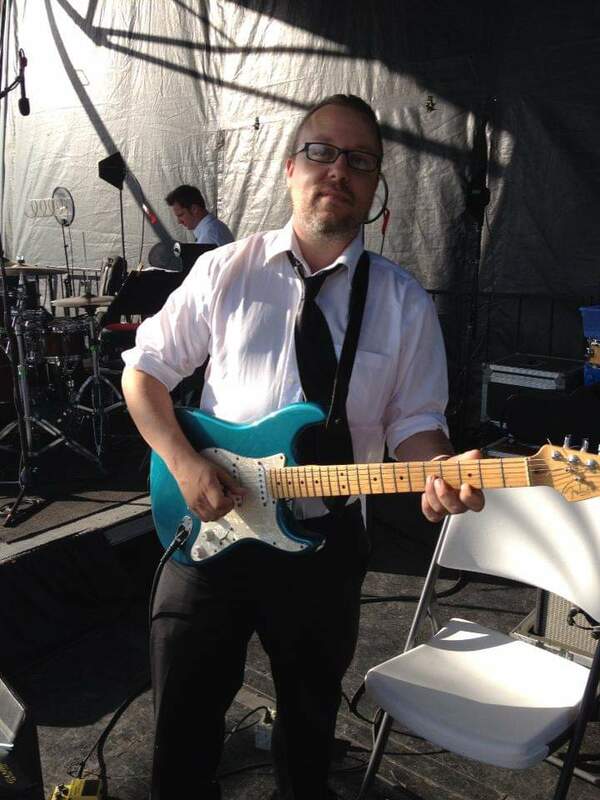 He is not limited by musical genre and enjoys helping his students in all kinds of musical exploration.